MasterChef: The Professionals finalist and head chef at the Italian Embassy in London Danilo Cortellini’s cookbook ‘4 Grosvenor Square’ has won a prestigious Gourmand award. We are super delighted to announce that Danilo’s ‘4 Grosvenor Square’ has been selected to represent Italy at the Gourmand awards! The book will now compete in its category against 5 other countries for The Best in the World which will be announced on May 26, 2018 at the annual Gourmand Awards Ceremony in Yantai, China. “It is such an enormous thrill to be representing my country for the Gourmand award. 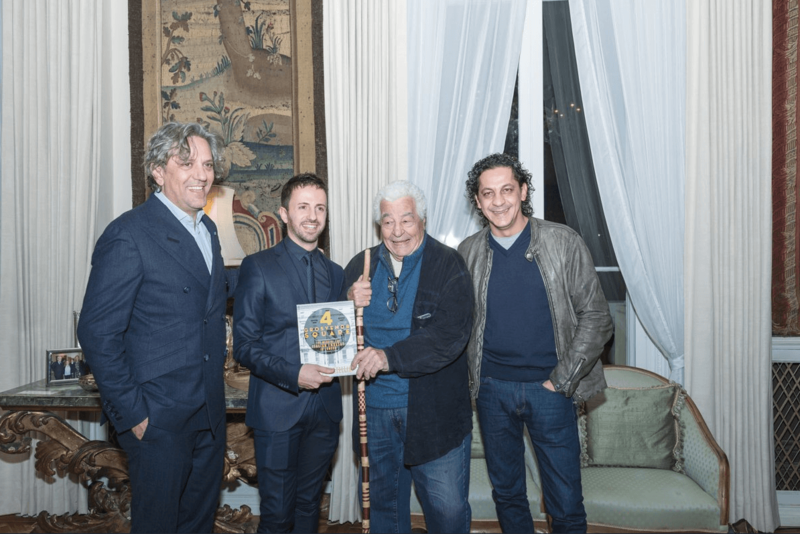 Every time I create something from this book for my guests, I am representing my country which is why it feels all the more special to be nominated for such an award,” says Danilo. ‘4 Grosvenor Square’, the first cookbook from Danilo Cortellini, is a celebration of his time as a private chef to the Italian Ambassador, featuring his favourite ingredients and recipes that reflect the day-to-day life there; from business lunches to gala dinners, family meals and drinks receptions. The hardback book features authentic Italian dishes using some of the finest produce available. Sample dishes include multi-coloured burrata tortellini with Sicilian red prawns in a smoked artichoke broth, pumpkin panna cotta with apples and mosto cotto and Asparagus and Prosecco Risotto which you can find the recipe for here. The book is divided not simply into starters, mains and desserts but into sections based on style of occasion instead. This provides an insight on how Danilo plans his menus at the Italian Embassy, and certain recipes are perfect for particular events. Nothing is regimented in this book, and Danilo encourages all to experiment and interpret dishes and elements of recipes as you like. “This is the first time a book of ours has won a Gourmand, which are effectively the Oscars of the cook book industry. It’s a great honour and fingers crossed, we can win the Best in the World in our category in May,” says Phil Turner, Managing Director of Meze. Published in both English and Italian, the book is available to buy from Amazon, Waterstones and all good book shops, priced at £25.00. Click here to grab yourself a copy.